As we strive to bring you more functions with each and every new release, it would be nice to describe them a little bit, wouldn’t it? We got so many messages from you all about stop-loss orders, and as long as it took to implement them, they are finally here. Hello there Coinmates! We promised to keep you informed about all the new features we have for you, and promises should be kept. Today we are going to have a closer look on price alerts. Here we are again, as promised. 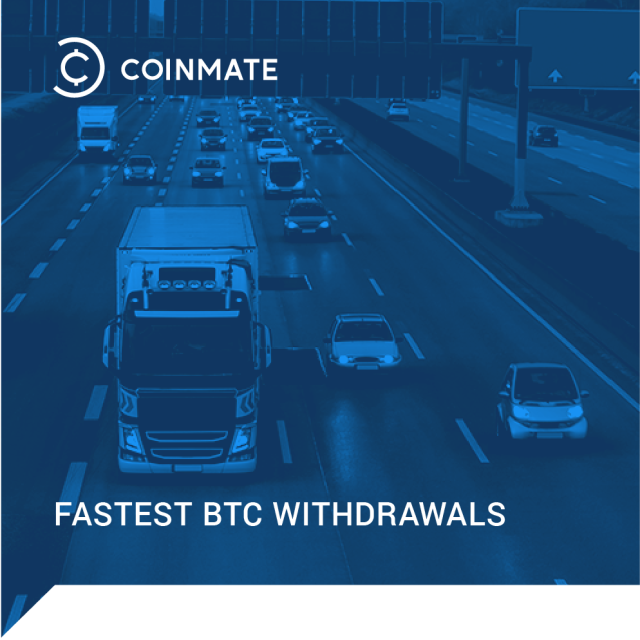 Last week we released a new version of Coinmate, loaded with extra features. The announcement was positive, but not very detailed, so here is a follow-up with all the extra info you’d hopefully like to see. Also, as always, I can tell you we are pretty excited about what we are presenting here. All based on the feedback we got from you. So please, keep it coming by staying in touch, future releases will be even more fitting to your needs and requirements. Dearest clients, it is time for confetti and champagne! We are celebrating new Coinmate release and hoping you’ll be happy to join. We have quite a lot of new features for you, so consider this article as a sheer cheer-up, a more detailed text is already being prepared. We will describe it all in a much more complex way, but for now, let’s toast to the news we have for you. 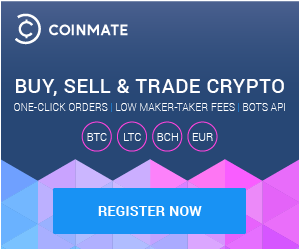 Hello Coinmates, as previously promised, we are now preparing to expand the number of trading pairs in CoinMate. The deployment will require about a 10 minute system downtime on Thursday 13rd December 10pm CET. We apologize in advance for any inconvenience this unavailability may cause you. Bitcoin (BTC) withdrawal options have been separated into two streams, allowing you two ways to withdraw. There is a faster way, called “high priority” with slightly higher fees. Also a standard way, called “economy” with lower fees. 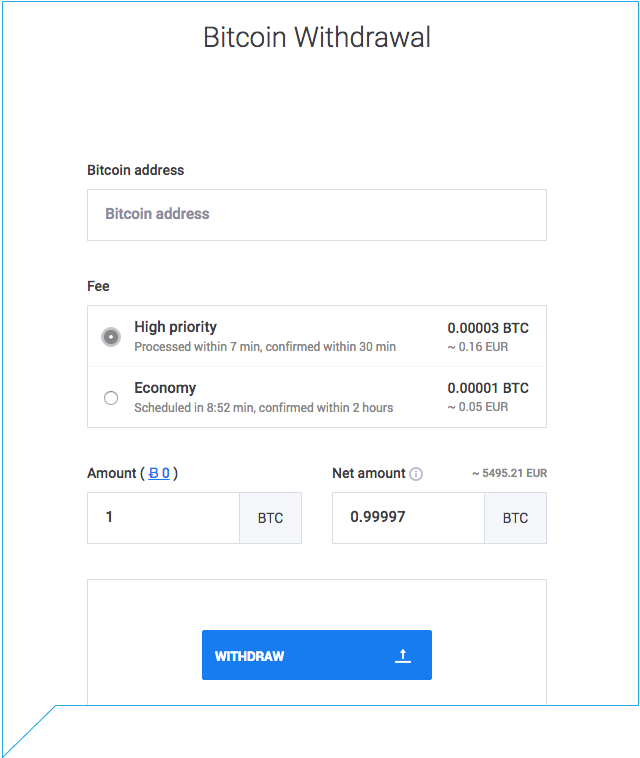 High priority BTC withdrawal – this super-fast alternative is processed every seven minutes, and should allow your BTC withdrawal to be confirmed within 30 minutes. Economy BTC withdrawal – this standard option is processed every 60 minutes. For your convenience you can see a countdown for each new batch of transactions to be sent. Your BTC withdrawal should be confirmed within two hours. Correspondingly this option has lower fees. Question: Which crypto exchange has the fastest Bitcoin withdrawals? Answer: We think it’s Coinmate. 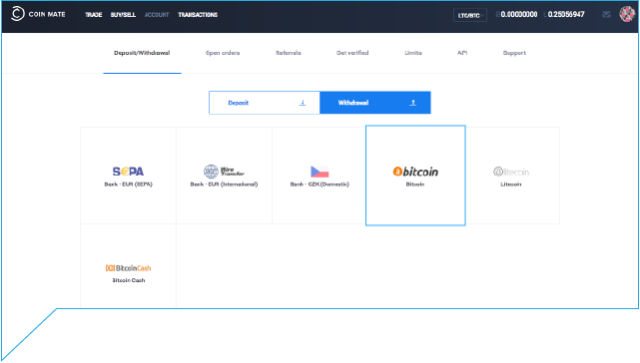 Getting BTC from the exchange and into your own personal wallet using our “high priority” withdrawal option is certainly among the fastest and possibly the absolute fastest way that any crypto exchange can do it. Additionally, BTC can be withdrawn directly via Coinmate’s API. 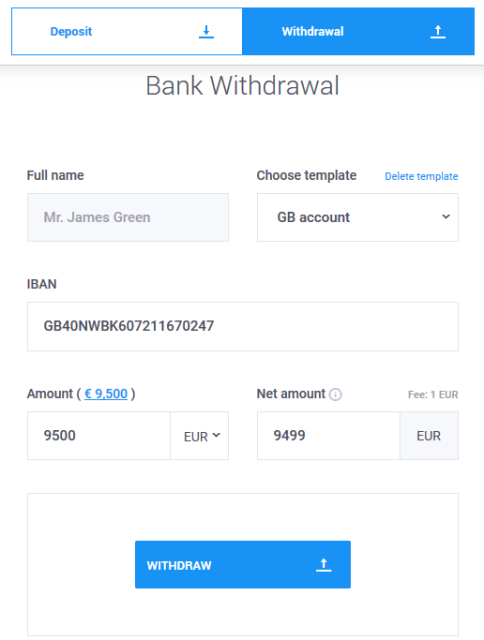 This is a more advanced option which is very convenient if you want to withdraw in batches or automate withdrawals or pay with ease into different wallets. The API can be configured to make more complicated mass payouts simpler, while still being safe and having the lowest possible fees. 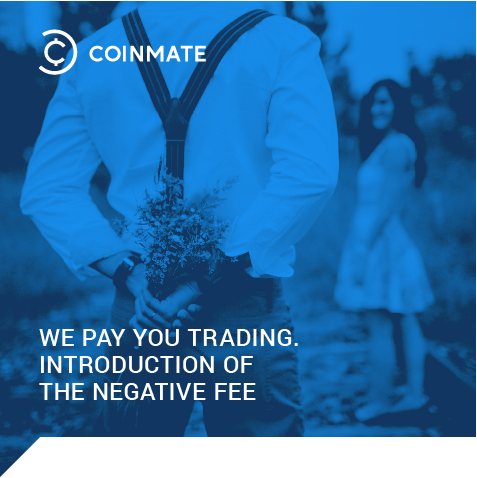 Coinmate is pleased to offer you negative fees of 0.05 per cent if your trading volume hits over three million euros over a monthly period. This is not a gimmick or a special offer. It is now our standard policy. We believe this is a world first among crypto exchanges. We’ve always been proud of our low fees and would like to show you how we compare with other exchanges. If you hit the magic three million euros monthly trading volume, then we will provide you with a 0.06% ‘taker’ and -0.05% ‘maker’ fee. Yes that’s right – we will pay you for your ‘maker’ trades. We hope you will benefit from these changes. If you want more detailed information, please have a look at the fees page on our site. Reading Time: 1 minuteDear Clients, we will be upgrading our portal to higher database instances. Our website wil undergo maintenance service on 15.11.2017 (22:00 – 23:00 CET). We sincere apologize for any inconvenience this may cause you. Reading Time: 1 minuteWe are currently 14.11.2017 9:00 CET, experiencing technical difficulties on our backend and are working to resolve the issue. we are glad to announce a new release of the CoinMate exchange portal. In order to perform the update, CoinMate.io service will undergo planned maintenance on Tuesday 19th September from 10pm to 11:55pm CET. In response to the increased demand for faster bank withdrawals, we are rolling out withdrawal templates and automated processing. Starting 20th September 2017 we will be processing bank withdrawals twice a day. First batch of payments will be processed at or about 11am and the second batch at the end of the business hours. Market stats and user trade history will be added to the Trade screen, everything elegantly packed for even better trading experience. An extra security feature will be added to the password recovery process. 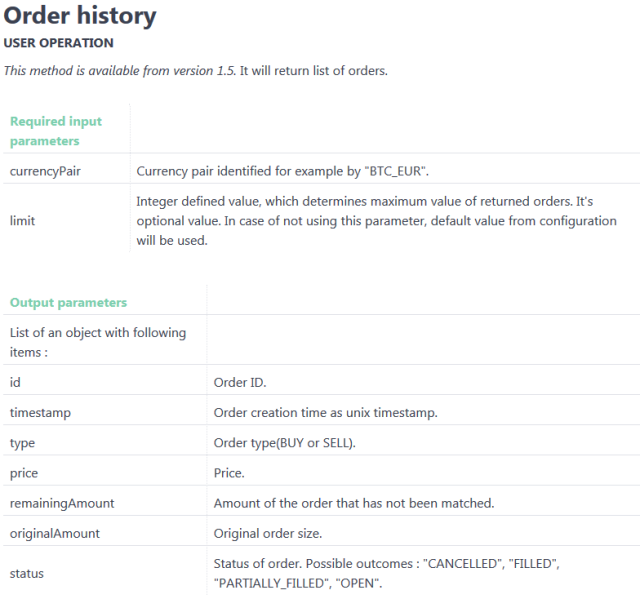 And our API will be expanded with a new Order history call.